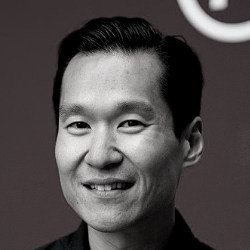 Daniel Jae-Won Lee is the Executive Director of the Levi Strauss Foundation, which supports pioneering social change in the areas of HIV/AIDS, worker rights and well-being and social justice in communities touched by Levi Strauss & Co.’s business. The Foundation’s signature initiatives include Pioneers in Justice (supporting next-generation civil rights leaders in the San Francisco Bay Area) and Worker Well-being (scaling worker empowerment initiatives in the apparel industry). Board service includes La Cocina, National Committee for Responsive Philanthropy, Grantmakers for Effective Organizations, Astraea Foundation, Council on Foundations, Funders Concerned about AIDS (former chair) and Massachusetts Asian AIDS Prevention Project (founding board); and the advisory councils of Advancing Justice-Asian Law Caucus, The Giving Side, Horizons Foundation and Global Fund for Women. Previously, he was Senior Program Officer for Asia Pacific at the International Gay and Lesbian Human Rights Commission and served as a researcher/writer for Let’s Go travel guides. He received his AB in religion from Princeton University, Master of Divinity from Harvard University and Honorary Doctorate of Sacred Theology from the Starr King School for the Ministry. Daniel grew up in South Dakota, lived abroad in Singapore and Korea and resides in San Francisco.